the other stuff us northerners do, you’ve got some work ahead of you if you want to be ready for ice out bass fishing! Ice out can be a great time of year to go bass fishing, if you understand the transition bass make from their wintering holes to their spawning grounds. The bass have been hunkering down all winter in very cold waters, as the ice and snow melts away, water temps begin rapidly increasing drawing the bass to move to more shallow areas where the water is warmer. These road ways can help you select the better transitional structures to key in on. On natural bodies of waters just focus on the “A, B, C & D” elements and use trial and error to find the better spots. One simple tip to keep in mind is “always remember that at this time of year bass are generally moving from deep water to shallow water”. If you found them at area “B” and the next day they’re gone… go check “C” and then “D” (in that order). If a bad cold front moves in, they will usually back off to the closest deep water nearby and many times suspend. When selecting bays, coves or cuts, look for areas where a creek or a stream enters the body of water you plan to fish, as these areas warm up quicker and will attract all species of bass. From ice out through the pre-spawn, you should never pass up an opportunity to fish near an influx of water. 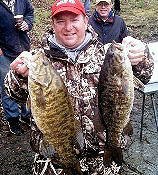 The main objective for bass at this time of year is to fatten up before they commit to spawning beds. Bass will feed all winter long, but you must keep in mind that they are cold blooded creatures and their metabolism is greatly influenced by water temps. (For more on bass and their metabolism check out “The Metabolic Bass”) A general rule to follow is the colder the water temp, the less frequently bass need to feed. They also tend to favor smaller meals during this time period (although there are always exceptions). As the sun shines throughout the day, the surface temps warm up and usually so does the fishing. Water temps rise slower in the mornings during ice out, so you may want to opt for an afternoon fishing trip when it’s the warmest. Pay attention to your water temperature readings if you’re fishing in a boat. 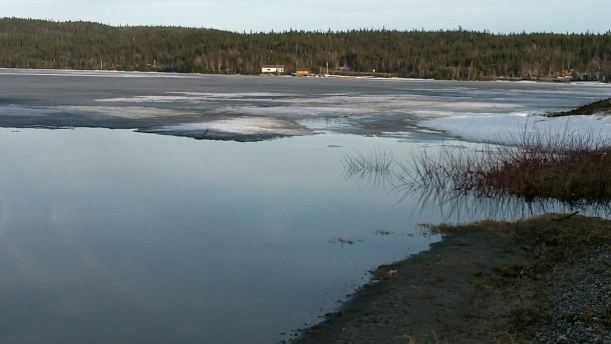 Finding the warmest water can sometimes be a very important factor right after ice out. Idling around the perimeter of the lake and watching your temperature gauge can really pay off sometimes. 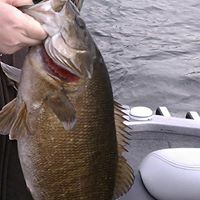 bass have been feeding simply to survive, don’t expect these fish to be quick and over active. Most will be extremely sluggish during the ice out, so you should rely on slower and smaller presentations. Small jigs, grubs, hair jigs and even blade baits work well at this time of year. A jig and pig combination can work great, but don’t be afraid to downsize to something smaller and more compact. The bites are usually light this time of year so if you can, use Fluorocarbon line to help detect some of those more subtle strikes. Work your lure back slow and have patience. Sometimes you just have to let it sit still on the bottom to get a strike. Pay attention to your line at all times, if you feel anything different or see the line jump or twitch, set the hook because it could be a big bass. Once water temperatures rise to 50 degrees and above, the action really starts to pick up and the bass are now in a pre-spawn phase. This is when jerkbaits, spinnerbaits, crankbaits and swimbaits start to become the lures of choice. 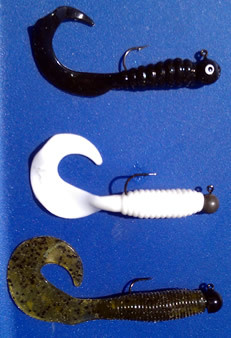 Check out “Springtime Jerkbait Tactics” for more tips for early spring bass fishing. – Always remember that at this time of year bass are generally moving from deep water to shallow water unless faced with a bad cold front.